Young musicians prefer forming bands with like-minded members and making music, performing shows and writing new songs. 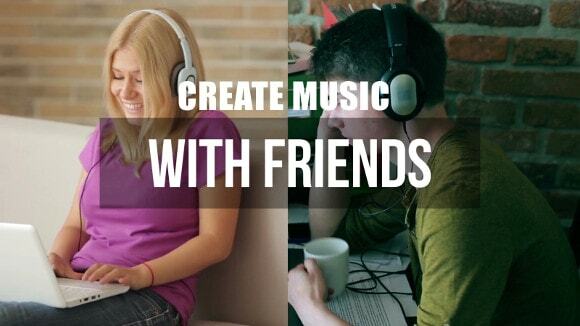 To create your own songs online, a band offers psychological support and makes the entire process more exciting. Relationships with band members must be protected, nurtured and handled in the most diplomatic manner. Disagreements and arguments within the band can lead to strained relationships and this is turn can affect your music career. Here is a list of easy tips to help you safeguard your relationship with your band members. Sometimes a band member may not perform up to the mark or may mess up the session with his absent-mindedness. It may be quite irritating to deal with a poor performer and the band may feel frustrated to continue with the session. But you must understand that anyone can have a bad day and your band member may be under personal stress or bad health and thus unable to focus. There are chances that he or she will realize his mistake the following day and will be back to normal soon. Do not rub it in by using harsh words as this might stain the relationship forever. A group of friends may set out to start their own band. Two people in a romantic relationship may be members of the same band. Irrespective of the personal rapport you hold with your band members, make sure that your music career stays unaffected. Do not take your band member who is also your childhood friend for granted. If you have any misunderstandings in your personal relationship then do not let it surface while composing songs together. You may be an expert musician and you may create your own songs online like a pro but that does not mean you can skip your band practice sessions. If your band has arranged for a rehearsal or wants to meet up to discuss something very important then you must be there at the right place and at the right time. The strongest factor about a band is its cohesiveness and a band member who tries to break it will be considered an outcaste. If the contract with your band members allows you to offer solo performances too, then go ahead with it. However be transparent about your commitments and always make time towards all your duties. If the band contract stops you from certain actions, then abide by the clauses. Stealthy acts outside the scope of the band can lead to stressed relationships with band members. In most cases, a band thrives of its ability to bring together the best talents of all its members. Help each other to cope up with the pressure of the industry and find new ways to grow together as a team. Previous Previous post: The Life of a DIY Musician – Challenges and Solutions!